Recovering after delivery and regaining your pre-pregnancy body can be a long and exhausting process, especially when you are busy taking care of a newborn. With ultra strong support and firm compression, the Belly Bandit Bamboo Post-Pregnancy Belly Belt is designed to help you get back in shape faster. You can wear it virtually unnoticed under most everyday clothes to get that little extra help everyone can use from time to time. This Belly Bandit Bamboo Belt combines the softest and comfiest fit, made from natural bamboo viscose, with the firmness and strength you need to gently reshape your belly, waist and hips. The belt is designed to work with relaxin, a natural hormone produced during pregnancy, which allows your pelvis and ligaments to soften for childbirth and stays in your body for a limited amount of time post-delivery. Wearing the Bamboo Belly Belt can help you accelerate the postpartum healing process and get you back to your pre-pregnancy shape sooner. Can Anyone Use the Bamboo Belly Belt? Made from natural viscose, the Bamboo Belly Wrap is perfectly safe and suitable to use by most women. 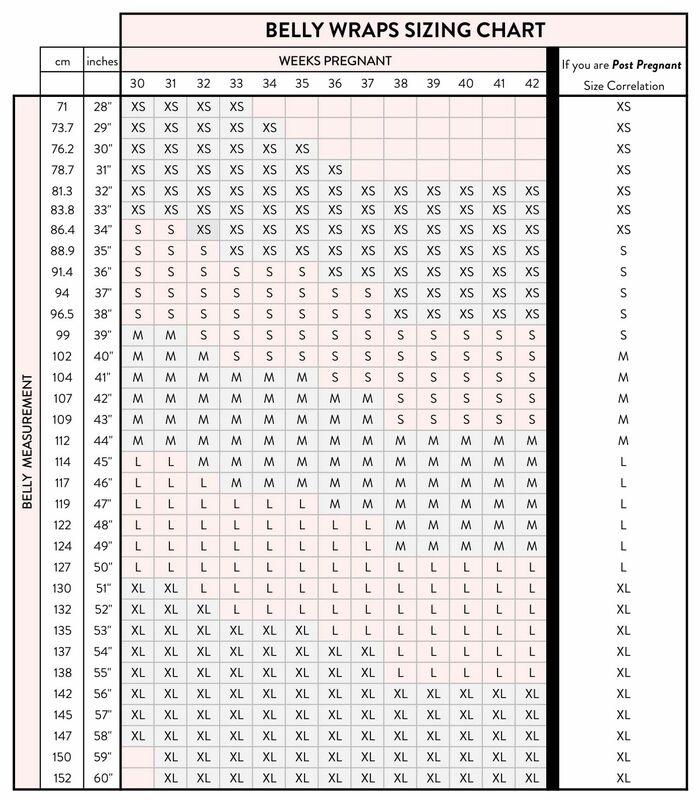 To achieve optimal results, wear the belt for at least the first six to ten weeks after delivery, and make sure you choose the right size for your shape. Belly Bandit Bamboo Post-Pregnancy Belly Belt are non-returnable and non-refundable on grounds of hygiene. If you are purchasing a Belly Bandit product early on in your pregnancy, your best bet is to go up one to two band sizes from your pre-pregnancy belly size. In the eighth month many women will be the same size as they will be post delivery. Simply measure the part of your tummy that is the biggest all the way around your abdomen, which is usually at the belly button, and choose the corresponding band for your size. Just prior to delivery simply subtract 3 - 5" from your belly measurement and select the corresponding band for that size.